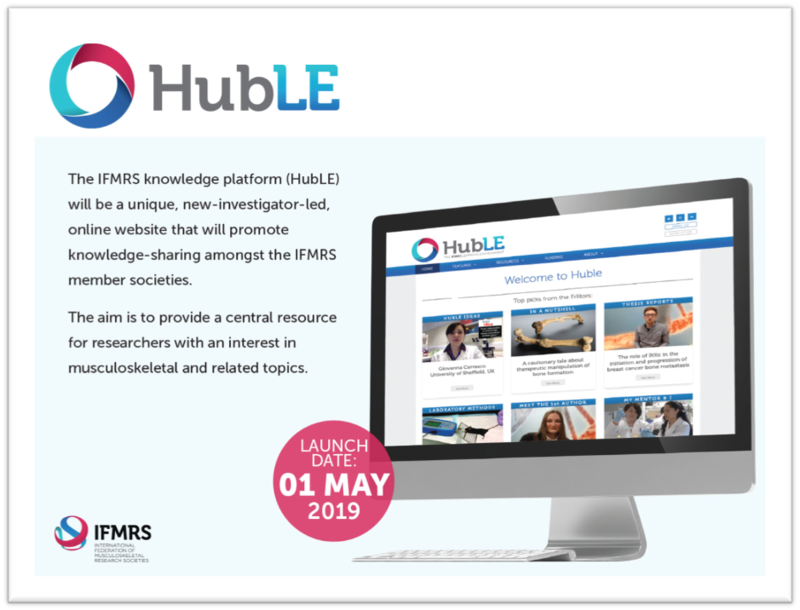 We are excited to announce that the new IFMRS learning platform HubLE is launching in May 2019. ANZBMS early career investigators have a strong presence on the editorial board and committees. Some of our ECIs include Joshua Lewis, Victoria Leitch, Natalie Hyde and Feitong Wu. Keep an eye out for them at the ANZBMS annual scientific meeting in Darwin where they will be filming HubLE meeting reports. Also feel free to contact us if you would like to contribute to any of the sections on the learning platform. A monthly web-based meeting discussing bone related topics aimed at advanced trainees, endocrinologists and general physicians who would like more exposure to bone health. Case discussions will include common clinical issues as well as challenging cases. Contact: Please contact Heather Gordon (h.gordon@garvan.org.au) or Angela Sheu (a.sheu@garvan.org.au) if you would like to present a case for discussion and to join a regular mailing list. Topic: Stopping OP medications – when, why, how. Case discussion to follow. Dr Feitong Wu (Menzies Institute for Medical Research, University of Tasmania) has been recently awarded a National Health and Medical Research Council (NHMRC) Early Career Fellowship for the project – “Early life strategies for improving fracture risk factors throughout life”. In this project, he will aim to identify ways to intervene early to reduce risk factors for fracture throughout life by cohort and intervention studies. These unique studies will provide a definitive answer to the effectiveness of vitamin D supplementation for bone density in children with vitamin D deficiency and provide an ideal opportunity to examine the influences of early life factors on bone development in adulthood and risk factors for falls middle-aged adults. A publication by Dr Josh Lewis, ‘Long-term atherosclerotic vascular disease risk and prognosis in elderly women with abdominal aortic calcification on lateral spine images captured during bone density testing: A prospective study’ has been reported in the media. Routine bone density scans already performed on Australians to identify their risk of fractures could now also be used as an early warning for heart attack or stroke Researchers from Edith Cowan University’s School of Medical and Health Sciences examined bone density scans of more than 1000 Australian women taken in the late 1990s The scans were originally performed to assess the risk of bone fractures. However, they also revealed the presence of calcium in the women’s aorta, a major artery in the abdomen, indicating advanced vascular disease. Lead researcher Dr Joshua Lewis said that the women who showed a build-up of calcium on their aorta were at a higher risk of suffering a cardiovascular hospitalisations and death in the 15 years following their scans. “Not only were the women with calcium in their aorta more likely to have suffered a cardiovascular event in the subsequent 15 years, they were also at a higher risk of dying from any cause,” he said. Dr Lewis said work was now commencing to identify the features of calcification most strongly related to patient’s risk of heart attack or stroke. Researchers hope to develop an algorithm that automatically detects the aortic calcium build-up in bone density scans. “This will allow bone density scans to become a very powerful tool for preventing future cardiovascular disease, which is the leading cause of death for Australians,” he said. Dr Lewis worked with researchers from the Universities of Sydney, Western Australia, Minnesota and Harvard Medical School on the project.